It is every parent’s nightmare to receive a phone call to say your child has been involved in an accident. Risk is an unavoidable and yet necessary part of life, but when children are sent to school in the morning the responsibility to ensure the safety of your child is passed to the school and the various staff members charged with supervising your child. The vast majority of the time, school is a safe environment with risk well managed and children well cared for. But occasionally incidents will happen which will result in a child being unfortunately harmed. So what happens when your child has been involved in an accident at school and has been injured as a result? What standard of care is owed to your child by the school during school hours? Have the school been negligent in providing that care? Was the accident avoidable had the correct procedures been followed? How do you go about pursuing a personal injury claim on behalf of your child? Obviously, when your child has been injured following an accident the most immediate concern is ensuring they receive appropriate medical attention to help them recover from their injury. The next concern may be finding out what has happened to result in your child being injured. You may have received an account of what has happened to result in the accident happening or it could be the case that very little information is available or has been provided by the school as to what has happened and this can be extremely frustrating. If you are concerned as to the level of care provided by your child’s school following an accident and/or want to find out about pursuing a personal injury claim on your child’s behalf, it is important that you seek legal advice from a solicitor experienced in dealing with these type of accidents. What responsibility does the school have towards my child? It is clear that a school has a responsibility to look after the welfare of the children within their care. This is what is described in legal terms as a ‘duty of care’. What standard of care is considered as acceptable is rather more difficult to define. The Royal Society for the Prevention of Accidents states that their approach is that schools should endeavour to be as ‘safe as necessary’ not as ‘safe as possible’. They emphasise that schools should approach health and safety in a proportional and planned way. Accidents happen every day, for example, children will fall and cut their knees or bang their heads in playgrounds and classrooms up and down the country every day. Thankfully these incidents will normally not present long term or serious consequences for each child. Generally it is accepted that children cannot and in fact should not be restricted and protected to the degree that there is no risk of any injury at all. To do so would require an intrusive and restrictive approach. Therefore what is the difference between an accident which is accepted as an everyday and unavoidable occurrence and one which should have been protected against and should have been avoided? It often comes down to what is thought to be in a legal sense a ‘reasonable’ standard of care owed by the school. The expectation of teaching staff is that they will show care towards a child to the standard that a ‘reasonably careful parent’ would in the given circumstances. Have the school taken reasonable steps to protect against the risk of harm and carry out their duty of care to your child? What is said to be reasonable comes down to interpretation and is dependent on a number of variable factors. Consideration will be given to the limitations on this duty where a teacher may have 30 students under their care at any one time. Every school is expected to carry out risk assessments for the school environment and the various activities that your child will carry out throughout their time at school. Any foreseeable risks that are recognised during this risk assessment should then be addressed through taking whatever reasonable steps are deemed necessary to protect against or reduce the risks. These risks must be ‘real’ and there may not be an obligation to guard against a risk which is ‘fanciful or hypothetical’ in nature. 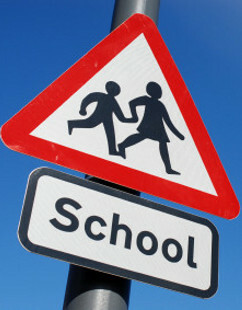 When an accident has happened in a particular area or situation within the school it therefore follows that the school should carry out updated risk assessments, and where the risk in question was not previously recognised, new steps should be put in place where possible to protect against the risk. Therefore if your child has had an accident with equipment or in an area where a similar accident has occurred previously it may be argued that your child’s accident was reasonably foreseeable and the school should have taken reasonable steps to protect against it occurring. It may be the case that although the area did not present any foreseeable risks there was inadequate supervision in place to ensure the safety of your child. Of course, the school’s responsibility to ensure the safety of your child extends beyond the school premises. School trips are a vital part of the school curriculum and residential and overseas trips are commonplace in many schools. So can you expect the same standard of care when your child is off school premises but still in the care of the school? The Health and Safety Executive offer guidance for schools in relation to school trips. The statement emphasises the need for a proportionate and sensible approach for planning and organising off-site activities. The school’s obligation to take reasonable care to ensure the safety of pupils is likely to extend to carrying out checks on a location prior to arrival and identifying some of the potential risks at the scene. However, where an accident has happened on premises outside of the control of the school there may also be the possibility of pursing a claim against the occupier of the premises should the school have been deemed to have acted reasonably. The law in relation to accidents in school is largely governed by decisions made by the courts in individual cases. Therefore it is vitally important that you get advice from a solicitor who understands this area of law and the issues that can arise. Where it has been found that a school has acted negligently and therefore contributing to or causing your child’s injuries you may be able to make a claim on behalf of your child for compensation. A child has up until their 21st birthday to make a personal injury claim for an injury sustained while they are under the age of 18 (i.e. 3 years from the date of their 18th birthday), otherwise they will be prevented by law from pursuing a claim. This is known as the limitation date. A parent or guardian can act on their behalf as a ‘litigation friend’ while they are under the age of 18 to make a claim. Any compensation received for a child will be held by the court and invested until they reach the age of 18 when they will be able to withdraw their compensation and any interest accrued. The process of making a claim may appear to be extremely daunting especially in the stressful aftermath of your child having suffered an injury. However the solicitor that you choose to instruct should be one that offers you transparent and thorough guidance through all steps that will be taken. Knowing that you are dealing with a solicitor who is a specialist and experienced in this area of law will mean you can be sure that they will do their best to achieve the best result for your child. At Bolt Burdon Kemp we have a team of experienced personal injury solicitors who have a wealth of experience in acting on behalf of children who have been injured at school. We understand how difficult it can be following a serious injury to consider the best course of action to take, and we aim to offer clear and in-depth advice from the outset. Ben Pepper is a solicitor in the Personal Injury team at Bolt Burdon Kemp. If you or a loved one have suffered an injury as a result of someone else’s negligence, contact Ben in confidence on 020 7288 4815 or at BenPepper@boltburdonkemp.co.uk. Alternatively, complete this form and one of the solicitors in the Personal Injury team will contact you. Find out more about the Personal Injury team.